Liquid Zeolite Enhanced with DHQ .. 3 for $39 Only $13 ea. 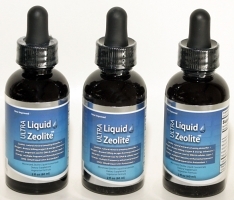 with $10 Flat Rate Shipping Worldwide - Liquid Zeolite Co. Inc. Liquid Zeolite Enhanced with DHQ ..YOU get 3 bottles for $39, Only $13 each, (Full 3 months supply) with $10 Flat Rate Shipping Worldwide! Click the button below to add the Liquid Zeolite Enhanced with DHQ .. 3 for $39 Only $13 ea. with $10 Flat Rate Shipping Worldwide to your wish list.